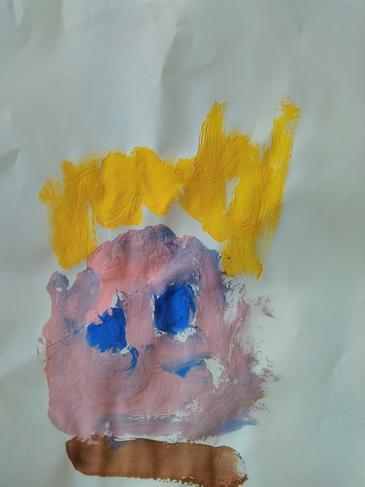 Hello and welcome to the Art page. 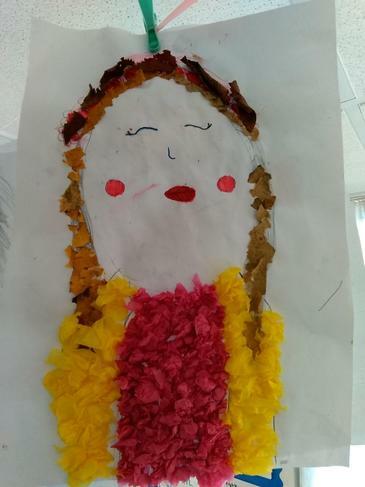 Here you will see lots of examples of Art work from early years all the way up to year 6. 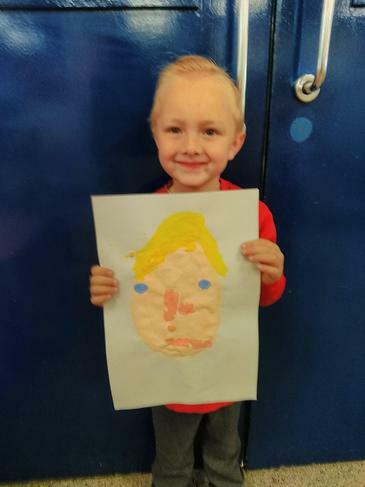 You can also visit the Art Room page where you can see fantastic examples of the children's work that is carried out in the Art Room with Miss Webster. 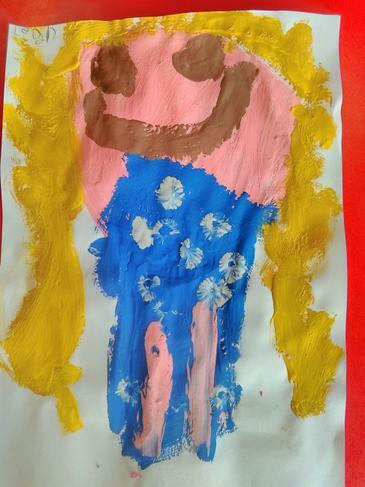 Please have a look as we have some very talented children who are devloping their Art skills at a rapid pace! 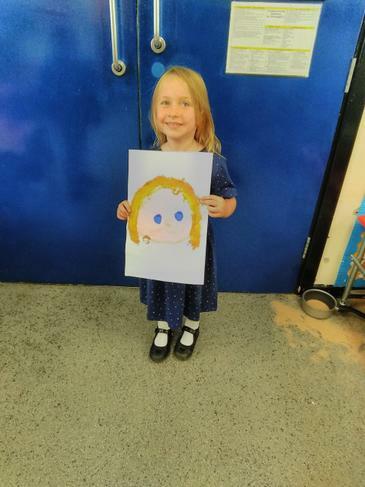 5CS have been creating space art inspired by the work of Peter Thorpe. 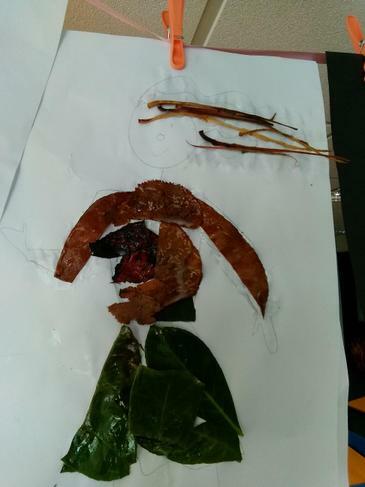 In Year 6 we have been studying rainforests. 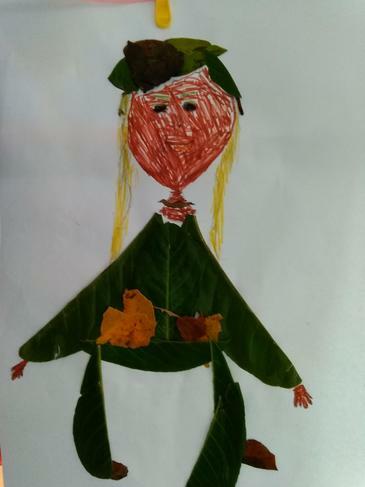 We have explored the different leaves that you might find in the rainforest and created our own paintings. 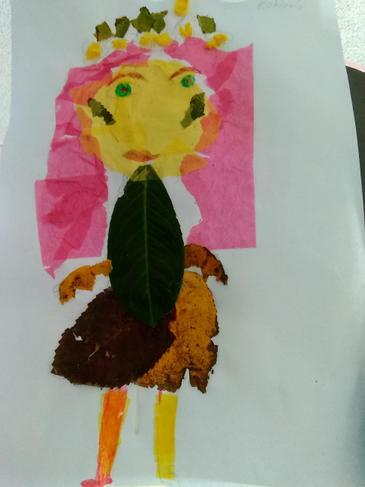 We explored using different shades of green to create our leaves. 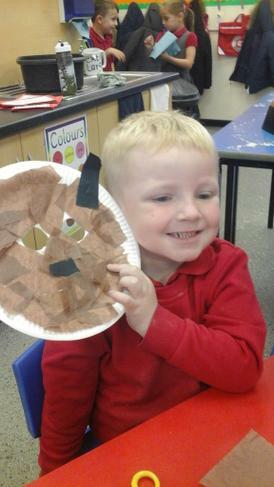 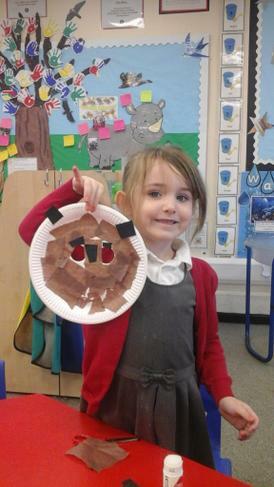 RLS have been busy during their "We're going on a Bear Hunt" topic creating bears using different materials. 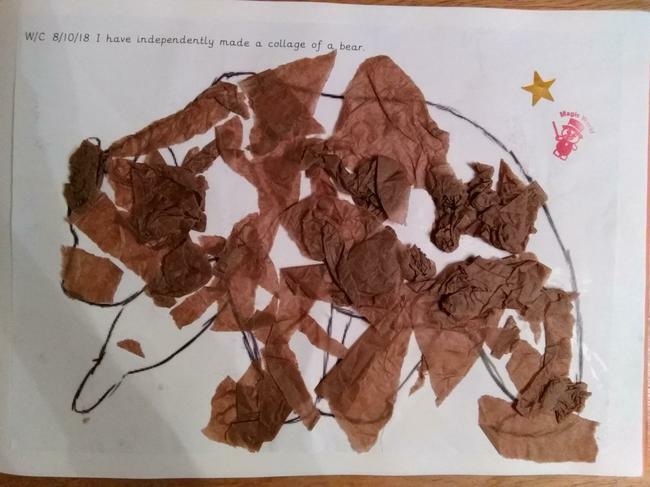 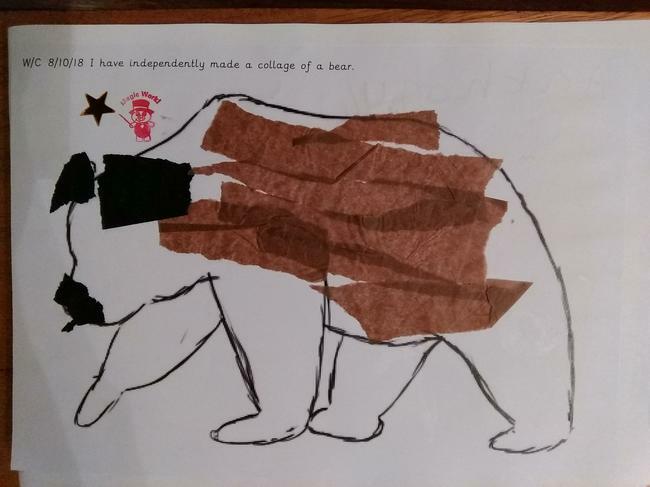 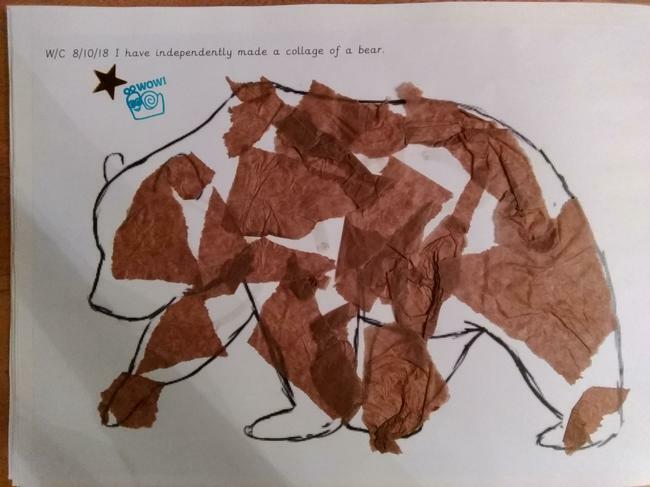 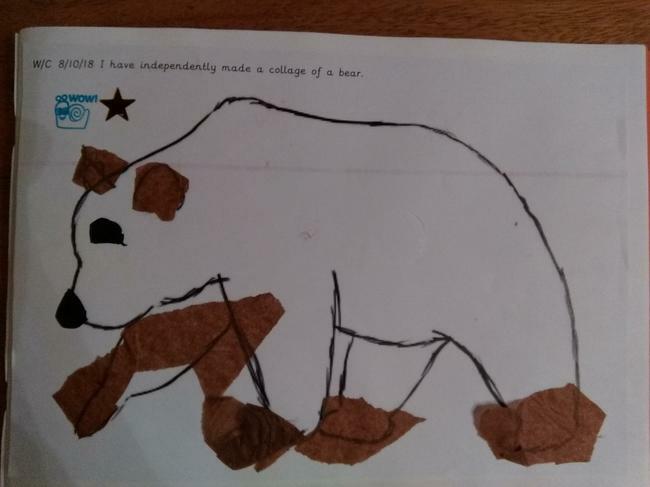 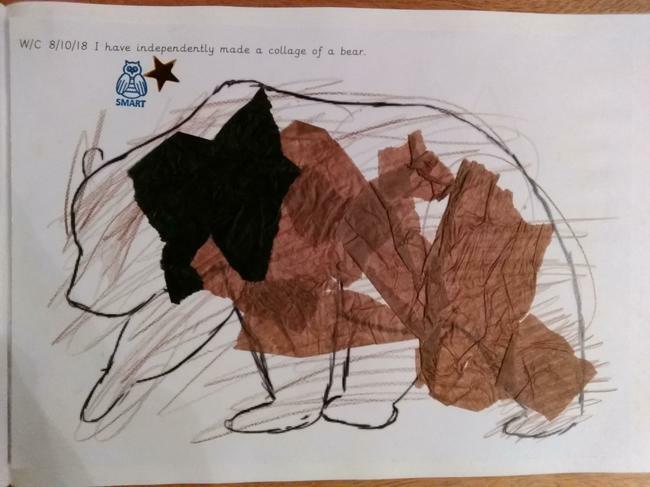 We have painted and collaged bears during this half term. 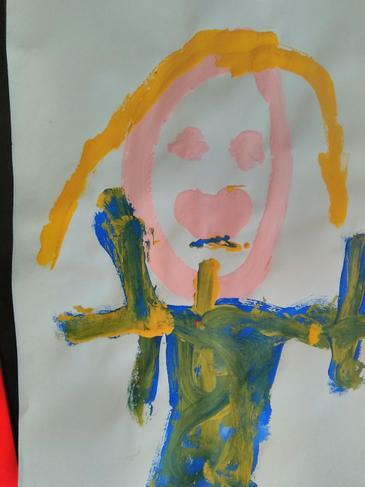 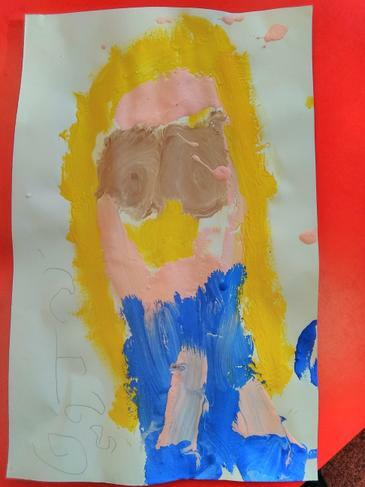 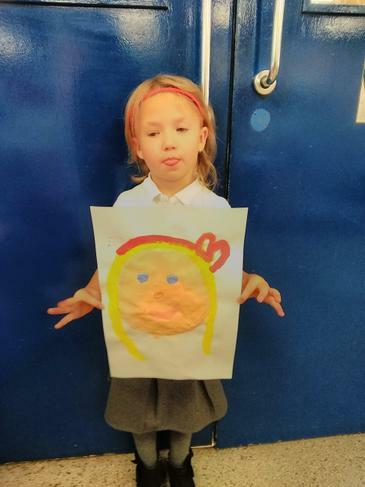 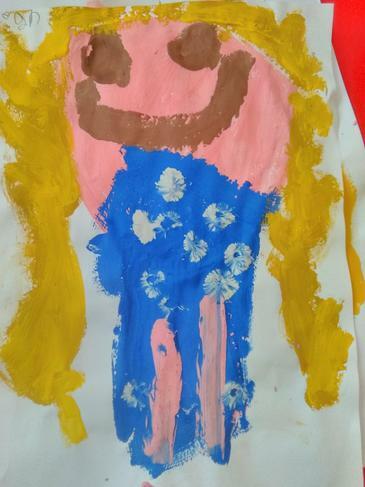 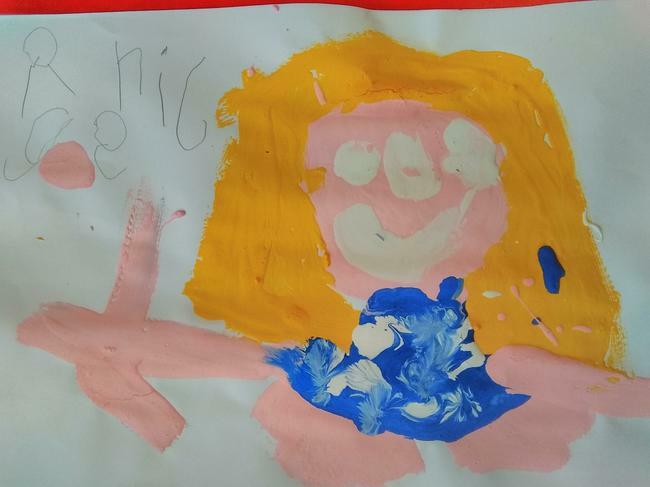 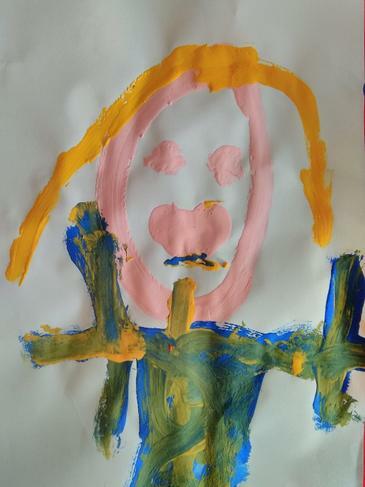 We have also painted an observational picture of Goldilocks. 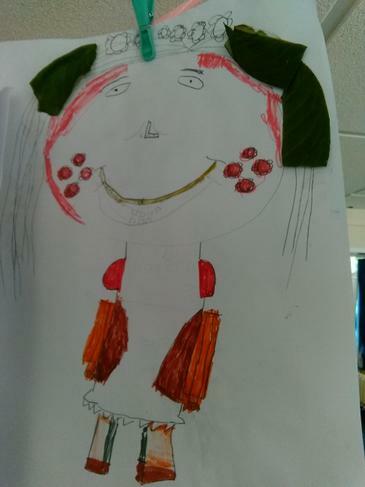 This half term, year 4 have been leaning about the Stone Age. 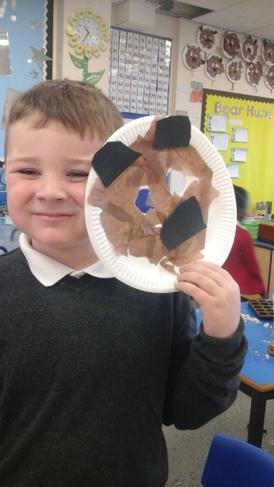 As part of this we created pictures of Stonehenge. 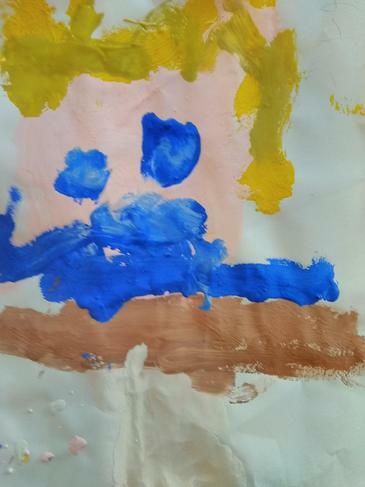 We thought about the different colours that may be seen at dusk and used chalk to blend the colours together. 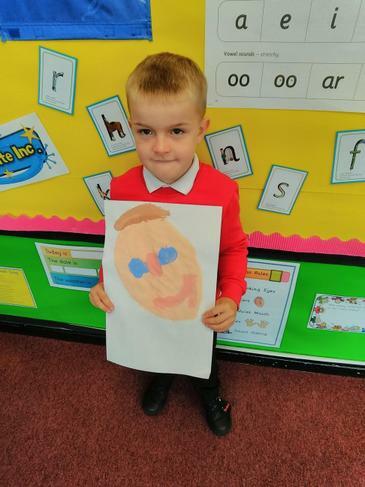 We have been creating portraits in year 4. 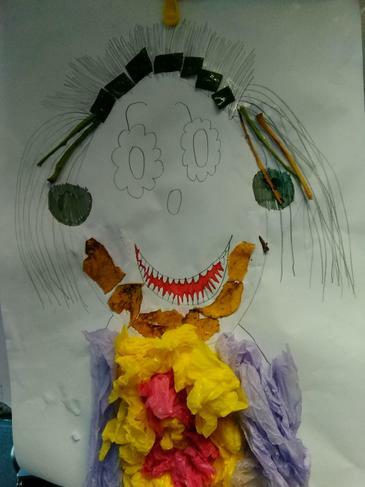 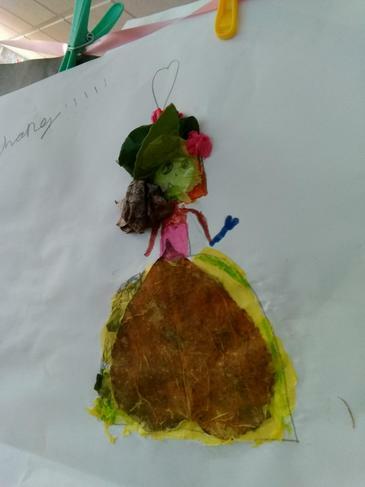 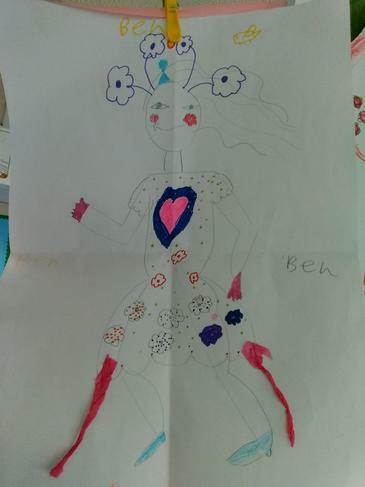 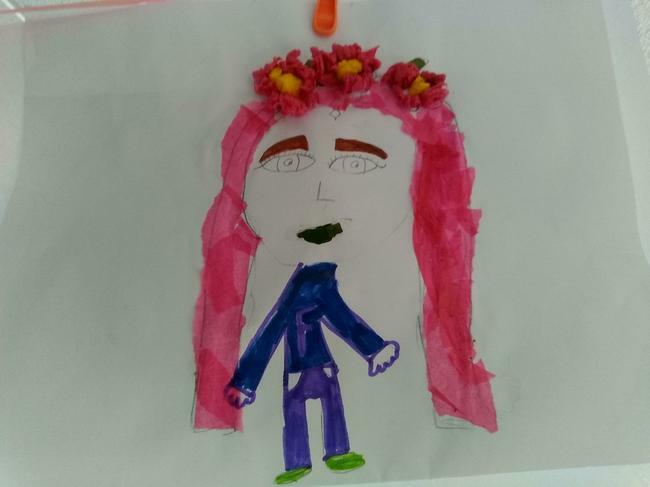 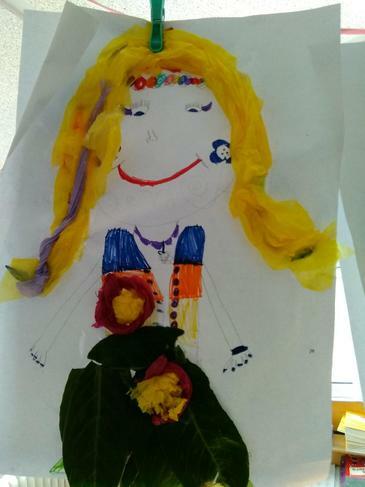 This week we have created portraits of Blodeuwedd who was a bride made from flowers. 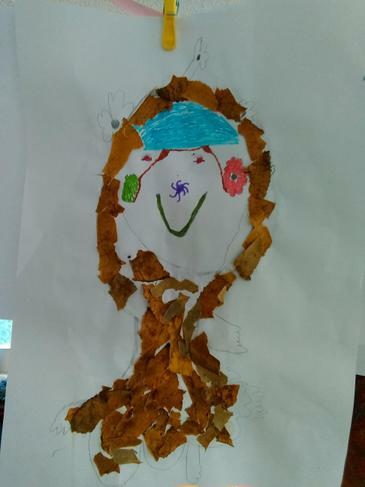 Unfortunately, we couldn't find any flowers this time of year and so decided to use leaves instead. 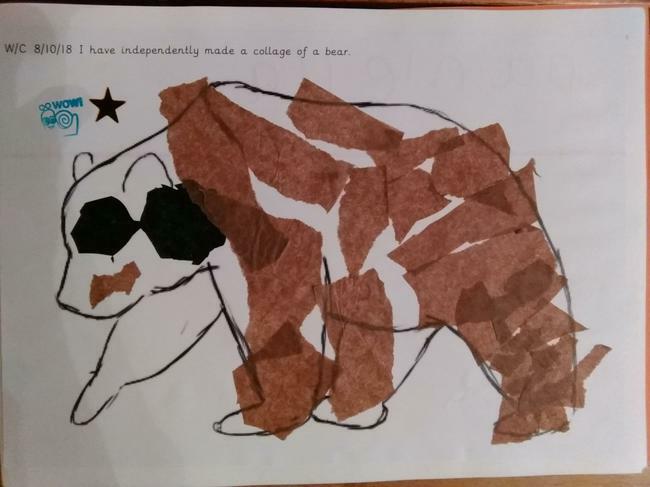 The children showed off their creativity and produced beautiful collages. 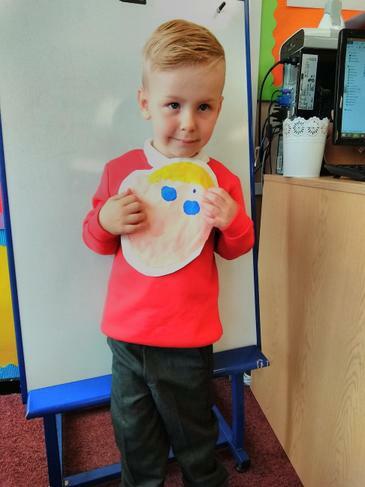 2SD have created these beautiful poppies by cutting out their own choice of shape and sewing on a button all by themselves! 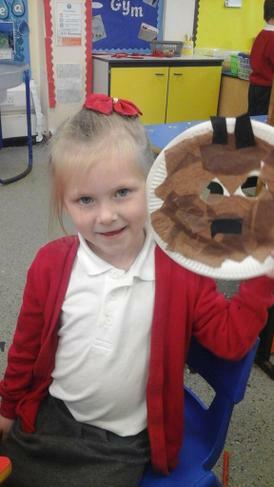 This half term RFW have had lots of opportunities to work in the creation station and on the painting table. 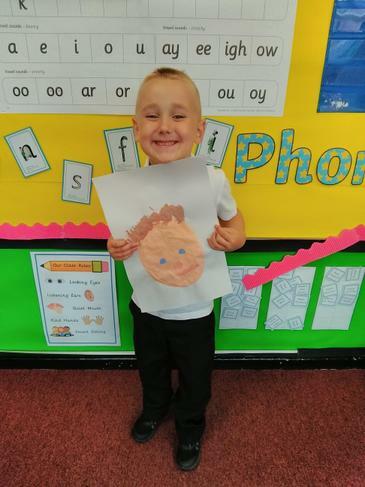 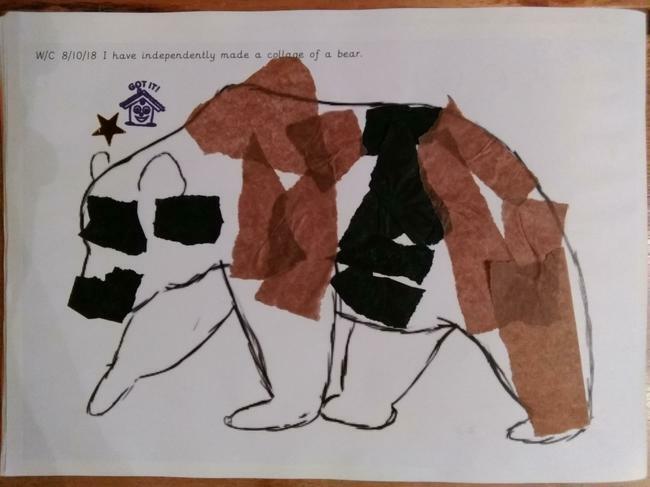 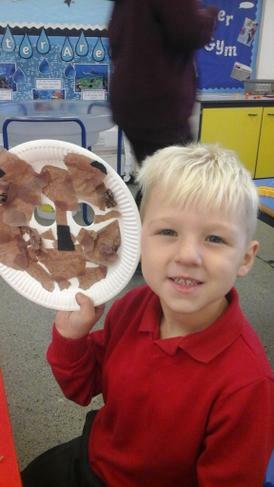 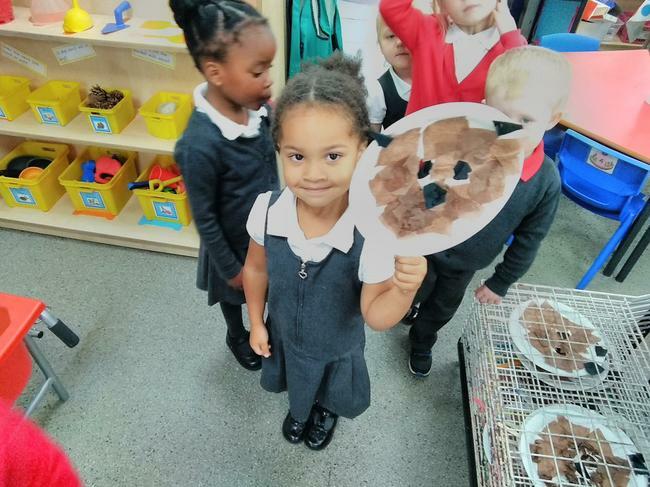 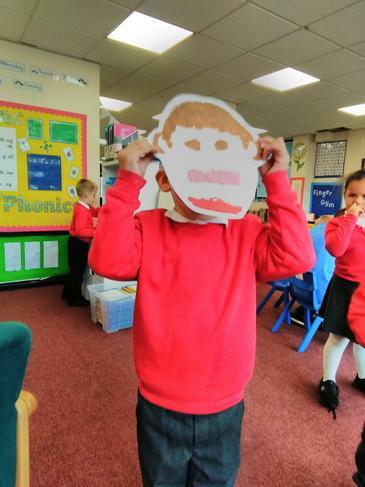 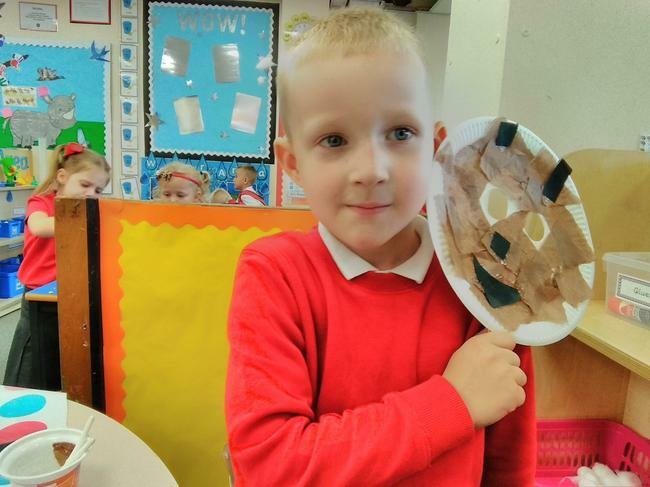 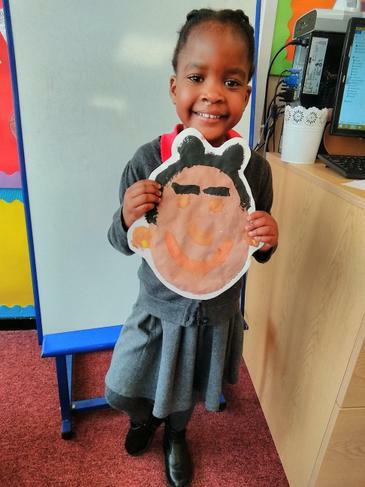 The children have drawn and painted their self portraits; they have created an observational painting of Goldilock and of a bear; they have used different materials to make a collage of a bear and they have also made a bear mask.